So now we are going to put the question to any of you who might happen to saunter by this blog. Below we’ve posted some images. Can you tell us what it is we don’t know about them? And can you tell us how you know that? 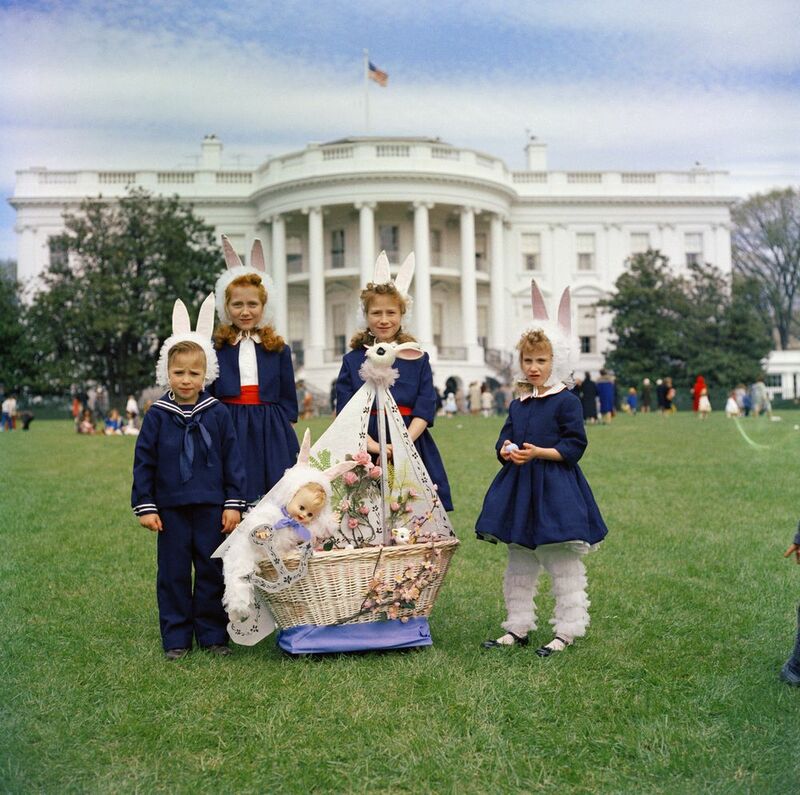 To start with, here’s a cute picture from the White House Easter Egg Roll on the South Lawn of the White House, dated April 3, 1961. But who are these guests in the fuzzy bunny ears? 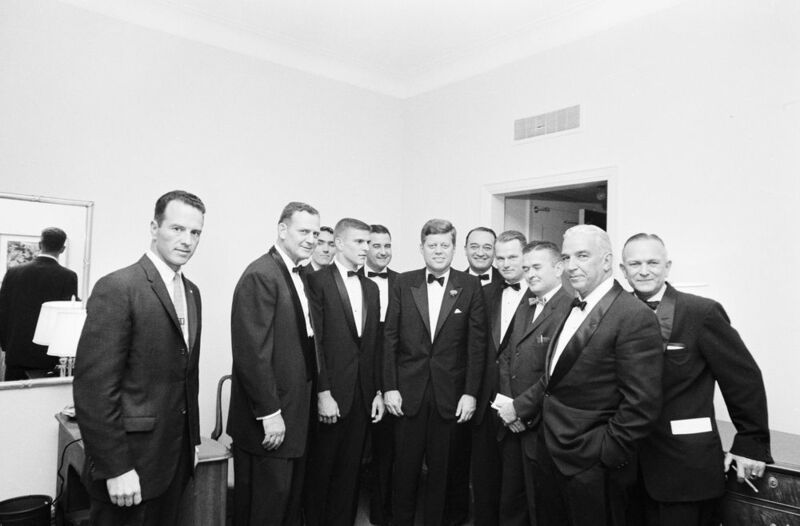 Below is another case of unidentified participants: the occasion is the Football Hall of Fame Dinner in New York City, December 5, 1961. We know who the fellow in the middle is. We also know that White House Army Signal Agency staff members Jack Rubley and John J. Cochran are on the far left and third from left, in back, respectively. But who are the others? The place is Room 805, Waldorf Astoria Hotel, New York City. JFKWHP-ST-A21-1-61. 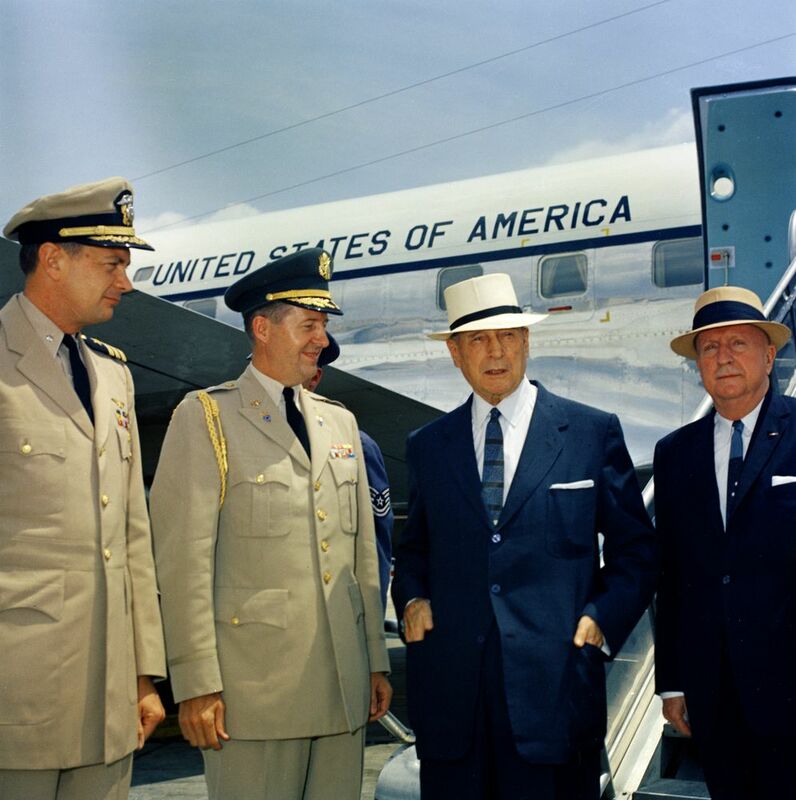 Tazewell Shepard, Chester Clifton, General Douglas MacArthur, and Unidentified Man, 20 July 1961. That’s pretty evidently Air Force 1 in the background. And we know most of these people. Naval Aide to the President Captain Tazewell T. Shepard, Jr. is on the left. Next to him is Military Aide to the President General Chester V. Clifton. General Douglas MacArthur is wearing the white hat. But who is the man on the right? And where was this photograph taken? The occasion is the 20 July 1961 Luncheon for General MacArthur. On right of General MacArthur is his aide, Courtney Whitney.